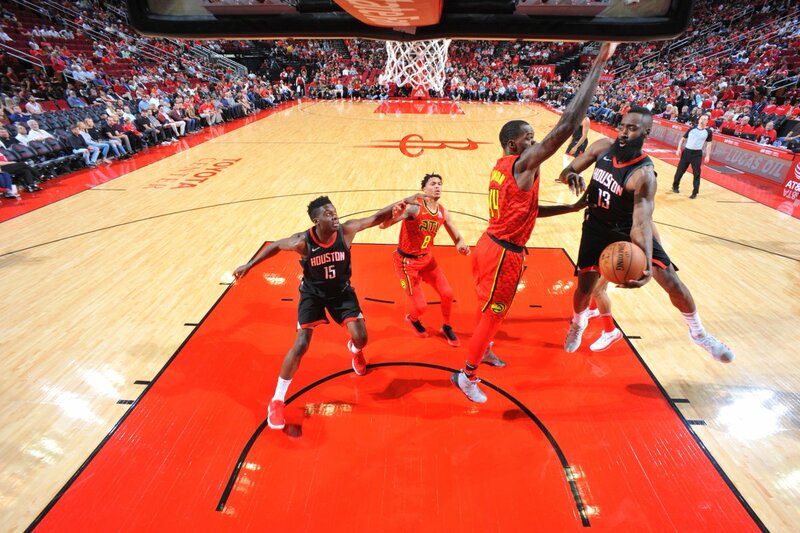 For the first time in franchise history, the Houston Rockets have won 60 games. The victim tonight was an Atlanta Hawks team mired deep in a tanking effort. The Rockets took an early lead and never looked back. James Harden ended the night with a triple double and a mere thirty minutes played on the second night of a back-to-back. Chris Paul sat once again, as did Luc Richard Mbah a Moute and Brandan Wright. It didn't matter. Instead, the team used a balanced attack with six players scoring in double digits. Gerald Green shot the lights out from deep (5-10). Eric Gordon shot the lights out overall (8-13). The team hit 20 three pointers, and that was after they went cold in the third quarter. Apart from Isaiah Taylor and Taurean Prince scoring 26 and 28 respectively, the Hawks offered little resistance. The Rockets are elite, and are making ready for the playoffs to start in a few weeks. They've won 60 games and have 8 left on the schedule. What else do we need to see?